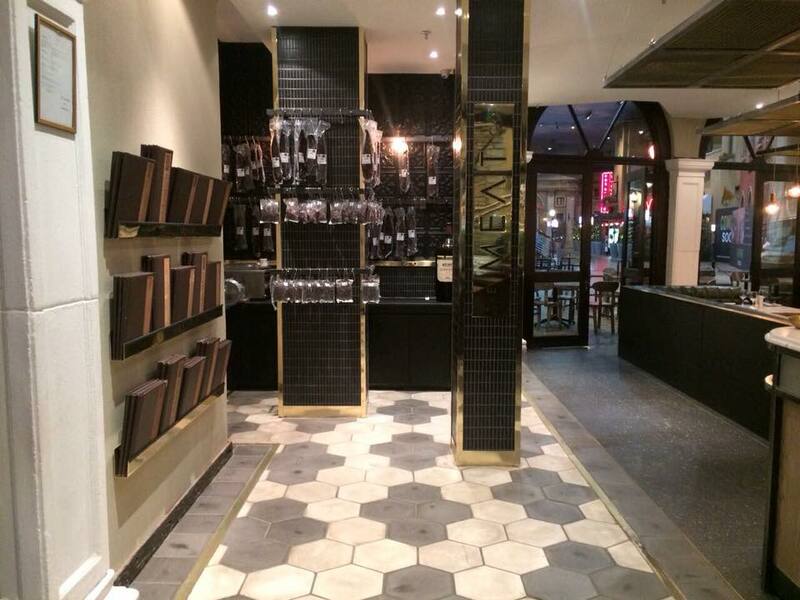 The newly renovated The Meat Company in Monte Casino have used our Hexagon Charcoal & Light sand range in a unique floor design. 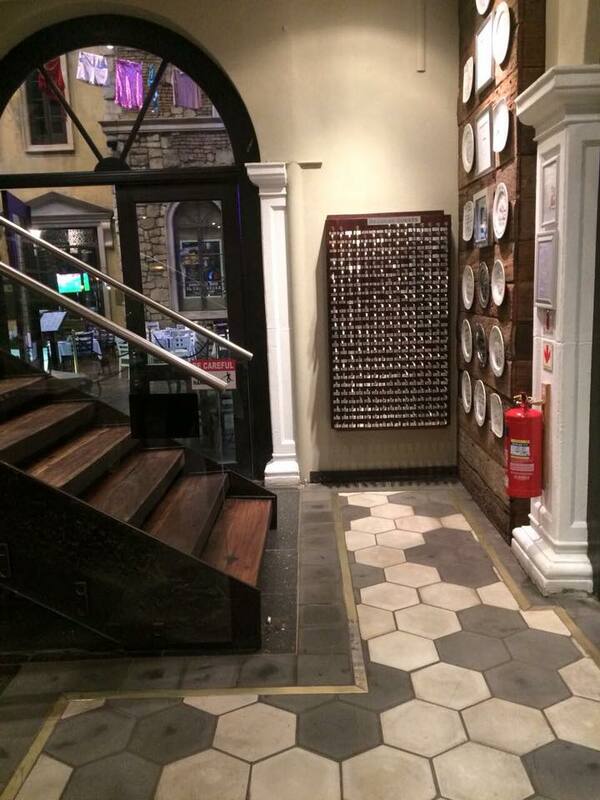 They have created a feature floor with our Hexagon range and have framed it with a brass border to give it the finishing touch. 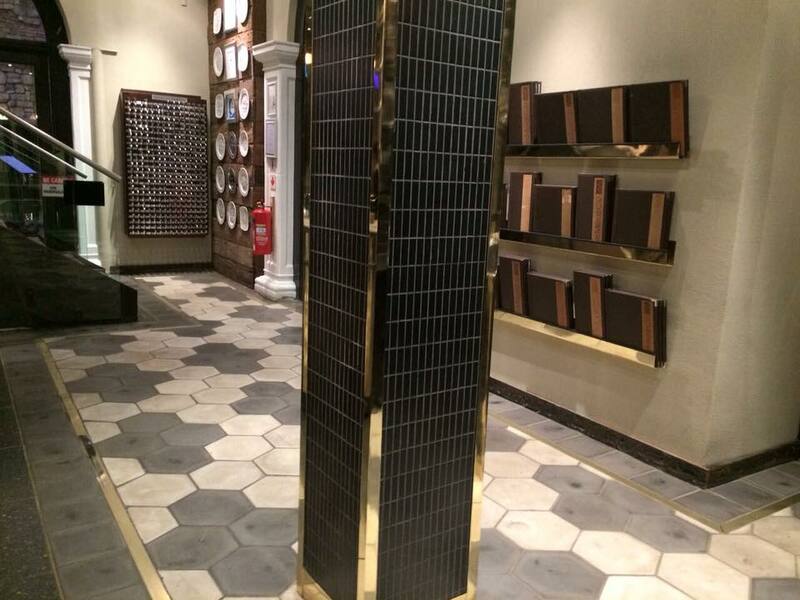 We are proud to have our products featured in such a well crafted space.